Our team works with clients to vet their ideas and bring them to life. Having huge expertise in creating user-focused mobile apps, we deliver exceptional mobile app development solutions. With in-depth knowledge and expertise in mobile application development, we help clients from different industry verticals achieve their business goals. We focus on enhancing your business productivity by offering world class mobile development solutions by making use of the latest tools and technologies. Clients who need innovative mobile enterprise app development services should contact us for all the different types of industry requirements. We are a full stack mobile app development company for various mobile devices, delivering user-centric applications for individuals and enterprises. We create compelling mobile experiences that your users would love. From many years, businesses and companies from all the parts of the world have been trusting Zaptech Solutions for high quality and flawless apps for various mobile platforms. We follow a well-defined methodology to deliver feature-centric mobile apps matching your exact business requirements. As a customer, you will always be informed about the progress of your project. We make sure that clients are on the same page as the hired developers. Clients can be assured that they will get exceptional mobile apps from us. 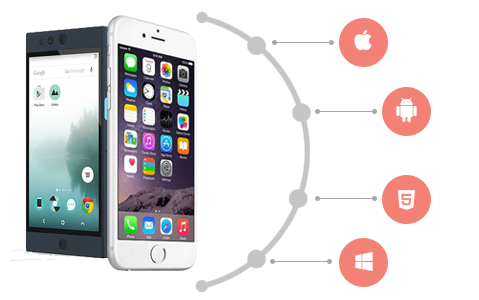 Whether you need an iphone application development or Android app development services we have the right skills and expertise to develop future-ready applications. We have huge expertise developing tech-driven mobile apps for enterprises all over the world. Our religion is transparency. We keep the things very clear and transparent with the customers. Rapid hybrid apps development using various frameworks like PhoneGap, Appcelerator Titanium etc. Bug free and rapid native mobile apps using frameworks like Xamarin etc. 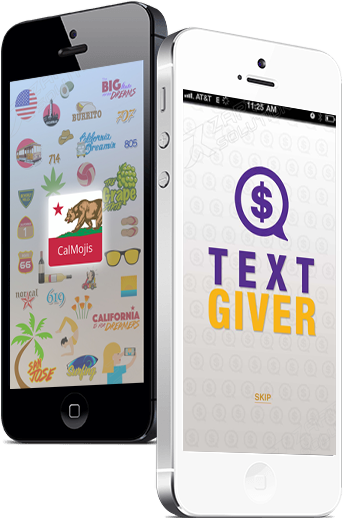 We have churned out thousands of app codes with several years of experience in the industry. Using the right blend of knowledge and skills, we deliver top-notch mobile apps. We provide services of technology consulting, mobile application strategy & planning, analysis, mobile application design & development, testing, data integration, cloud computing and mobile application maintenance. Clients can hire experts from us and get outstanding mobile apps matching their requirements. 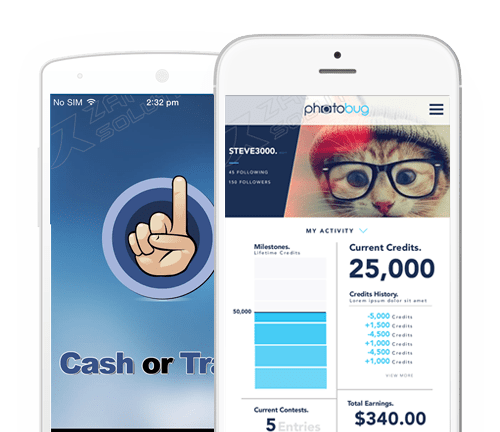 As we are a team of enthusiastic professionals, always looking for something new and innovative, we are confident that we build attractive and entertaining mobile apps keeping in mind the target users. Contact us to hire mobile developer or to know more about us. Our app development consultants discuss your requirements. We plan the most effective strategy for app development. Our creative designers come up with innovative UI/UX designs. We have a team of dedicated developers who code the mobile app. QA team performs regular checks to ensure flawless and bug-free app. Our team launches the app on the respective App Stores. Why Zaptech Solutions For Your Next Mobile App? As a mobile apps design & development agency we are helping companies across industries to transform their business through our innovative mobility solutions. I have thoroughly enjoyed working with the project management, web design and development team at Zaptech Solutions. Their quote, intake, and project process is smooth and exact. I valued having a clear roadmap of deliverables, timelines and quality expectations before even starting the project. The team’s work on my own website has led me to choose them as one of my premier web design partners for client projects. I highly recommend the Zaptech Solutions team! Thank you and your team for great support. Really appreciated it. We will work on many more projects together. I hired Zaptech Solutions as an extension of our company Tasman Solutions, to help us build several mobile client-server solutions. In a two year timespan they have proven to be flexible and I would recommend others to seriously consider them as a development partner. I have worked with Zaptech on many projects. We started out with 1 project and currently have about 5. We have had nothing but good experiences with them. We mostly do mobile apps with Zaptech but have also done some websites as well. Zaptech is pretty amazing! They have been my go to team to mange and update the backend of my Magento E-Commerce site. Custom programming, custom APIs and connections, Installing and customizing extensions that other people built (pretty cool), Server configs and issues. They are wizards and always pull though… I count on them and they deliver! I can assay that Zaptech has allowed us to grow and expand upon our own in-house capabilities with many projects that span a diverse range of requirements from .NET/ASP, Salesforce/Apex, PHP, Drupal, WordPress, APIs, and other projects. Every project has been expertly managed and the entire team is extremely responsive. I just want to say that it was great working with the team. Everyone did an excellent job and was very responsive when we needed help. Thank you very much. We will definitely be looking to use your services again in the future. I have worked with Zaptech on mobile applications projects for my small business, E-Ponies.com. I have been very impressed with their access to quality resources and their ability to quickly understand application of technology to a relatively small niche market in horse racing. Copyright © 2017 Zaptech Solutions.